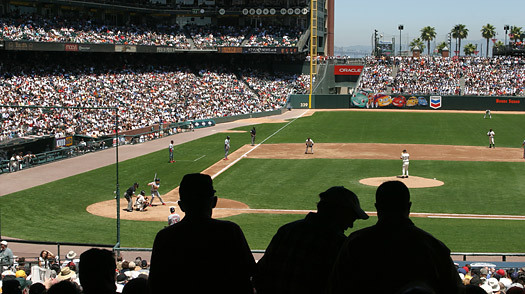 Sure, most cities are proud of their ballparks, but, come on, I think it's a pretty well established fact that none is finer than AT&T Park. You know I'm right. Never mind that the San Francisco Giants are lackluster without Barry Bonds. If it's baseball season, you owe it to yourself to take in a game. Not to mention that you've never had better food at a ballpark (except maybe at Camden Yards): the garlic fries and Sheboygans (bratwursts with kraut), oh my. If you find yourself downtown at lunchtime and there's a day game, wait a few innings then pay half-price for a ticket from one of the many scalpers standing around pretending to be looking for a friend. For a late night cup of the best blended French-press coffee you've ever had, go to Philz Coffee nearby.